Professor Bant holds joint bachelor degrees in Arts and Law (hons) from the University of Western Australia. She also holds the degrees of Bachelor of Civil Laws with distinction and Doctor of Philosophy from the University of Oxford, where she was a Clarendon scholar. Elise practised in commercial litigation with national law firm Freehills before joining The University of Western Australia Law School. She subsequently taught at Oxford and was a visiting scholar in Portugal, before joining Melbourne Law School in 2008. Elise is the Co-convenor (with Professor Andrew Robertson) of the Obligations Group at MLS and a former Associate Dean of the Melbourne Juris Doctor degree. Professor Bant's main areas of teaching and research interests lie in the fields of unjust enrichment and restitution law, property, contract and consumer law, civil remedies, equity and trusts. She is author of The Change of Position Defence (Hart Publishing, Oxford 2009) and co-author (with Justice James Edelman) of Unjust Enrichment (Hart Publishing, Oxford, 2016), editor of two collections of essays, co-author of a leading Australian casebook on Remedies and has published over 70 articles, chapters and other scholarly works in her specialist fields. Elise is also a general editor of the Journal of Equity with Professor Simone Degeling (UNSW) and Professor Matthew Harding. She is currently working on Australian Research Council grant research with Associate Professor Jeannie Paterson, which examines the regulation of misleading conduct at common law, in equity and under statute. 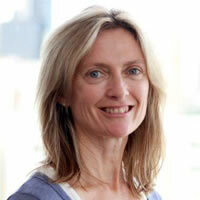 Elise is Co-convenor (with Associate Professor Matthew Harding) of the Obligations Group at Melbourne Law School. She has been Associate Dean of the Juris Doctor degree (2011-2013), a member of the Academic Recruitment Committee, member of Selection Committee, co-ordinator for the Oxford/MLS degree partnerships programme and a teaching mentor for the graduate teaching programme.